As more members of British Columbia's best known orca family show signs of starving to death, experts are warning about the devastating impact the death of just one whale can have on a pod. The Center for Whale Research in Washington state recently predicted that two more southern resident killer whales would die of starvation by the end of this summer. 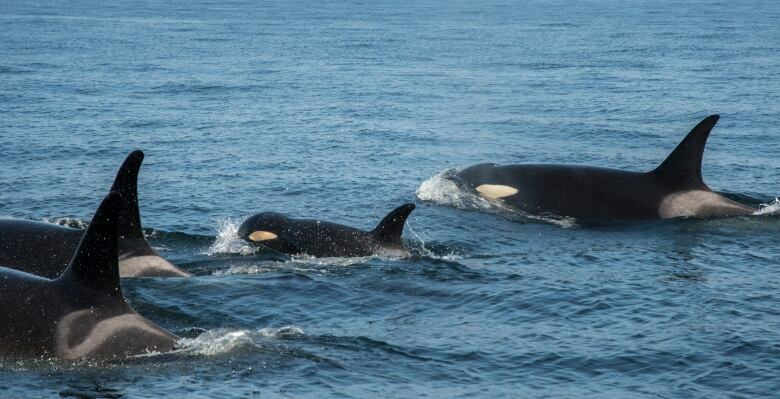 One of them is a 42-year-old female known as J17, part of the J pod family that lost two of its kin last summer. 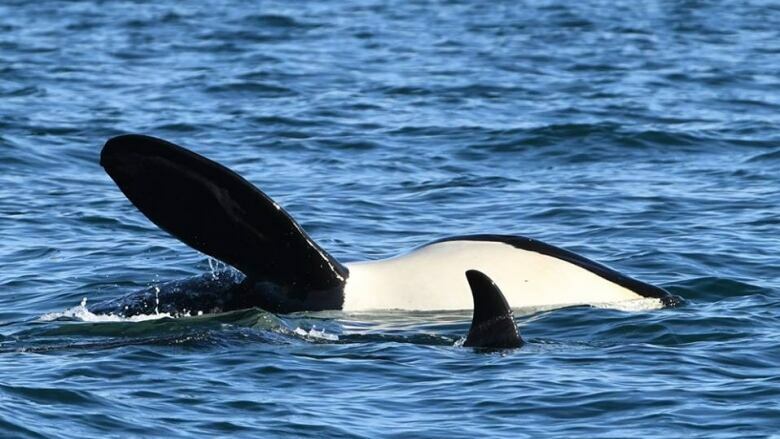 "J17 is a grandmother and those grandmothers are as important in the killer whale world as they are in the human world," said Lance Barrett-Lenard, director of the Marine Mammal Research Program at Vancouver Aquarium. "They're kind of the glue that holds their whole lineage together." The death of an elder female can have a rippling effect, Barrett-Lenard said. "The loss of matriarchs are pretty important," he told Stephen Quinn, host of CBC's The Early Edition. "We often find that mortality of other animals within their group, particularly their adult sons, tends to go up for a while after when a matriarch drops out." The pod gained international attention last year when a female member carried its dead baby for days in what was described as a display of grief. Later in the year, a three-year-old member of the pod was found dead despite an unprecedented attempt by U.S. and Canadian scientists to treat and save the whale. "I'm encouraged by the fact that the population is getting so much attention now," Barrett-Lenard said. "But I wish it had been a few years earlier when the whales were in better shape." The southern resident population is at a 35-year low after the three deaths in 2018 and currently stands at 74, with just 22 left in J pod. The killer whales mostly eat chinook salmon, whose numbers have dropped dramatically over the past few years — with ocean conditions and poor river migration among the potential reasons for their decline. "A healthy whale has to stay fat," said Lance Barrett-Lenard. "Whales have a blubber layer that they use for food and for insulation against the cold water and when that becomes depleted to a certain point, it's really hard for them to claw their way out of it."